I don't know. This week I took a side trip away from the usual journal page. I was thinking about books and information overload and my inability to pair the random thoughts roaming through my brain with their sources and wouldn't it just be smarter to write them down while I had the book/magazine/article in my hands instead of trusting my increasingly rusty memory to keep it all straight . 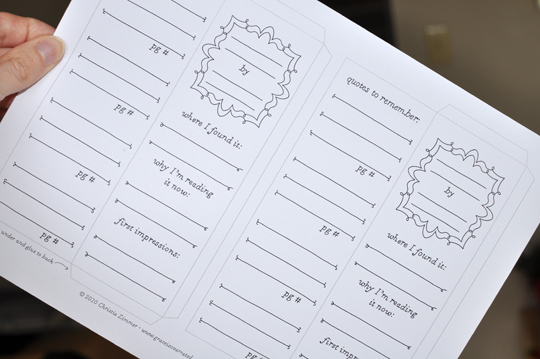 . .
A handy-dandy, fill-in-the-blanks, cut-and-paste, folded bookmark. An easy place to jot down a few impressions, memories and quotes from the latest read . 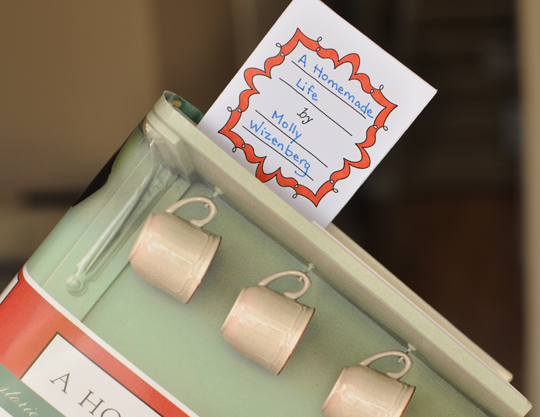 . .
Below, I took a sample shot of a completed bookmark parked on page 204 of Molly Wizenberg's A Homemade Life. Page 204 is the home of her wonderful recipe for French-style Yogurt Cake with Lemon, the only from-scratch cake I've ever been able to make successfully. It is utterly delicious, simple and elegant, and amazingly resilient when left to the devices of rudimentary bakers such as myself. 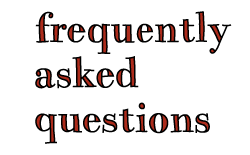 Anyhoo, my plan is to generate a collection of bookmarks, file them close by for frequent reference and pat myself on the back for taking a little wind out of the sails of information overload. 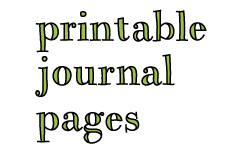 If you'd like to try it out for yourself, the pdf is here. 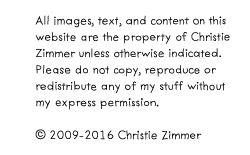 this is SUCH a cool idea Christie! i love it and you are seriously fantastic! any more great ideas you go ahead and share immediately without hesitation! I just added you to my "Just Because It tickles me" Pinterest board. I love your work and that fact that you share it for our personal enjoyment. It will come back to you multiplied! I love it! You're work is amazing! So glad I found your site! What a brilliant thought! Thank you, Christie! oh.my.goodness. i am SO going to use these in class with my students! (if you are okay with that, i mean!) 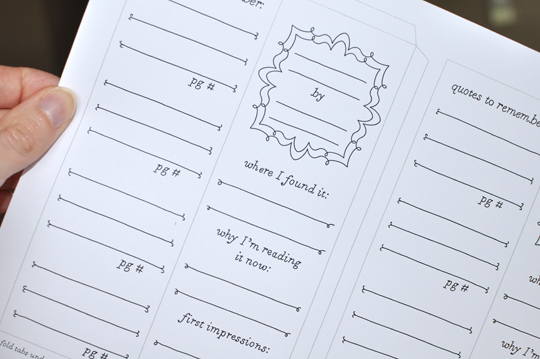 this would be AMAZING for class discussion, book report starters, LOTS OF THINGS! and even if i can't use it in class, i plan on using it myself! thank you! Excellent! This is definitely one of those things I thought "Why didn't I think of that?" Thanks for sharing. Now .... how about that cake recipe? ;o) We're glad you're back and hope you're feeling great! I can't wait to use this with my scripture reading. I always find so many new insights! I could copy enough to have a new one each day. I can right insights on the bookmark and the next day I can hole punch the old one and put in on a metal ring and use a new bookmark. Then the old ones are there for future reference. This would also be good for using in my book club! Thank you for all your hard work on these wonderful pages. You are truly gifted. Well, this is certainly different. I love this idea! You are awesome to keep coming up with these terrific ideas and sharing them with us. YAY! I love these Grace! I usually have at least 4 books going at once so I can always use bookmarks. And no more folded corners to remember quotes! Thanks so much, I'll be linking. OMG, what a brilliant idea! Absolutely lovely. LOVE 'em! you are so kind to share!